An American legend looks at Social Security and the promise of our oldest citizens. 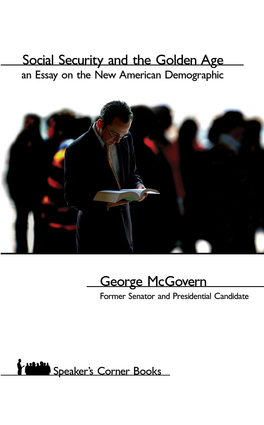 George McGovern served in the U.S. Senate for 18 years and was the 1972 Democratic candidate for president. He directed the first Food for Peace Program under former president John F. Kennedy.